Olivier Boulay, who heads Mercedes' design center in China, will design the electric car that Mercedes is developing with BYD. HONG KONG -- For Olivier Boulay, the ubiquitous electric scooters on China's streets are both a source of inspiration and an indicator of the country's potential as an innovator of electric cars. It's not that the scooters are high-tech, but they do demonstrate public acceptance of electric transport, said Boulay, chief of Mercedes-Benz Advanced Design Center in China. This gives China a chance to be a major innovator, Boulay says. Last July, Mercedes opened a design center in Beijing, its first in China. The studio will design vehicles for Mercedes-Benz and also for its joint venture with BYD Co.
Boulay will design the electric car that Mercedes is developing with BYD. The partners will unveil a concept EV next April at the Beijing auto show, followed by a production version in 2013. Boulay described the activities of his Beijing studio on Dec. 2 during the Business of Design Week, a conference in Hong Kong. The studio will expand from a dozen designers now to 20 in 2012, which will make it the same size as Mercedes' Tokyo design center. Boulay said his experiences driving his own 300 Euro e-scooter on Beijing's streets inspired the design of an electric-powered scooter for Mercedes' Smart brand. 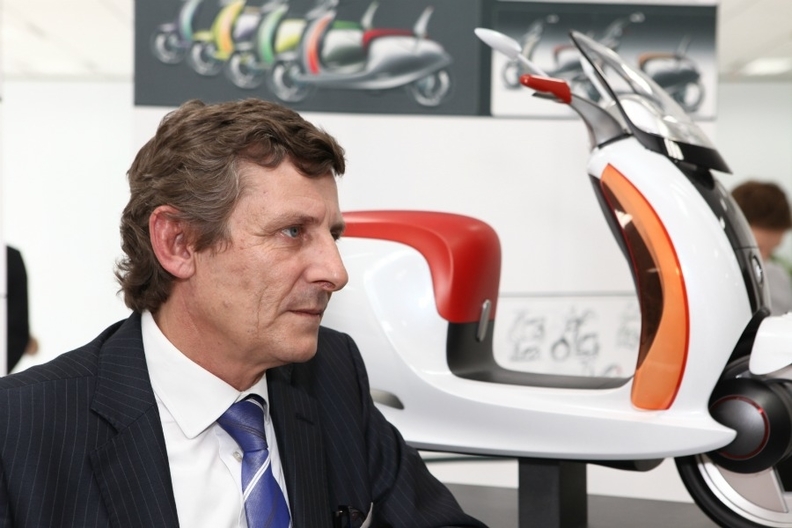 "That is how I came up with the idea to do this Smart scooter last year, which we presented at the Paris auto show," said Boulay, who opened the Tokyo studio in 1993. "I think there is a market in Europe waiting for it as well. Hopefully Smart will make this e-scooter."